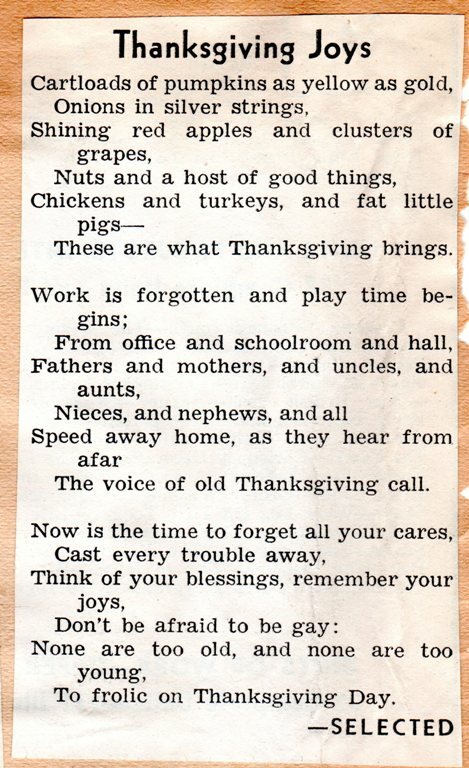 Tonight I will share some Thanksgiving poems from one of my Grandma’s Scrapbooks. The first is very traditional and reminds me of the day of Thanksgiving. Thank our Heavenly Father dear. The next poem is more about what is going on about the time of Thanksgiving. These are what Thanksgiving brings. The voice of old Thanksgiving call. To frolic on Thanksgiving Day. Can do it any harm. In squares, as many as you can. 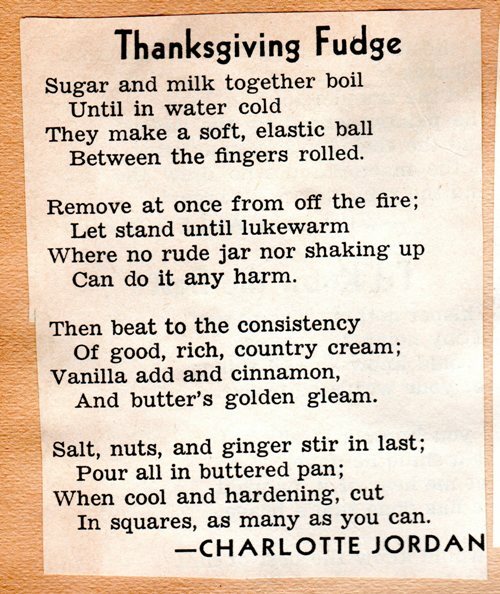 This entry was posted in Culture, Holidays, Memories and tagged blessings, Fall, fudge, grace, Poems, Prayer, pumpkins, Thanksgiving, Thanksgving Poems, Turkeys. Bookmark the permalink.